my only guess is try toggling the "analog" button if there is one. Logitech f510 has been working great with me. I have been using logitech gamepads for a while, but they all have some unique problem. How good are the Xbox360 gamepads for emulation gaming?? Two cheapie controllers I had broke in 2 days! So I bought the Logitech 310. Diagnols not working. Where is this "controller properties"? This is frustrating, but not surprising. But I don't have time to troubleshoot this at the moment. EFFING COMPUTERS!!!! 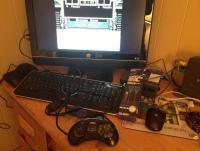 I think there is something about the compatibility between the Genesis emulators (and NES ones, too) that the SNES emulators do not suffer from. I can't get ANY of my four vastly different controllers to play NES nor Genesis ROMs without that drifting issue that makes them unplayable. I do believe there are programs and drivers that can address this. I recall using a separate program to calibrate and fix that stuff, once, long ago, on an old computer. I think the answer is out there. I think it's fixable. if you figure it out, I'm excited to give the Genesis/Sega CD versions another go. I know Kega is not a preferred emulator (controller delays or something), but I think it has more options for tweaking this stuff. good luck. 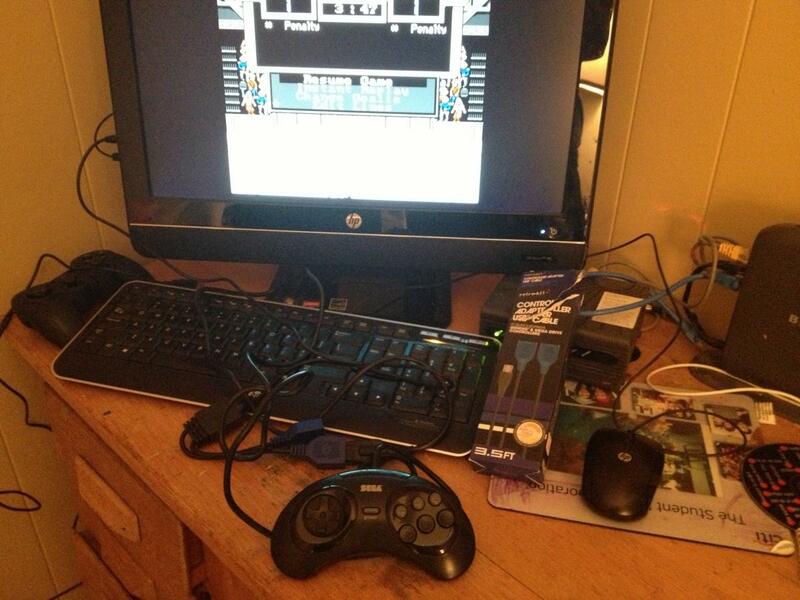 I firmly believe that any controller can be used once you convince the crappy emulator of your choice to recognize. until then, switch to Snes9x. Just wanted to update this for people that are having this issue. I did fix my issue, and had my controller working fine. But I switched controllers because I didn't like the feel... Now I don't remember what the heck I did! These modes are selected using the switch located on the bottom of the F310, as shown below. XInput is the preinstalled, modern gamepad standard on Windows 7 and Vista. It can also be installed on Windows XP (SP1 or greater). Use XInput to play games in Windows whenever possible. This input mode is intended to make the gamepad work natively with modern games. 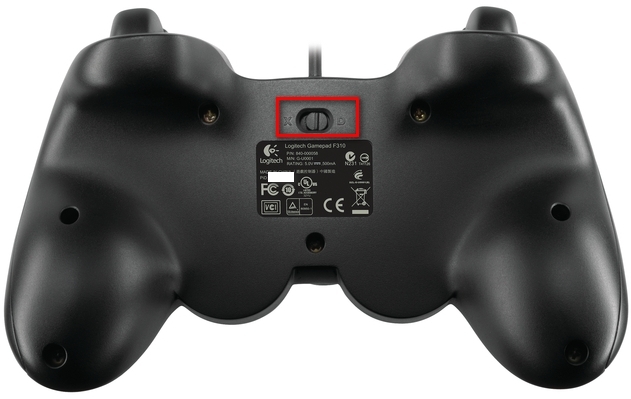 If you're playing a new game with the F310 gamepad, we suggest you set the Input Mode switch to "X". If you want to customize the input functionality, try using DirectInput mode instead. DirectInput mode works with Windows drivers to enable basic input functionality. This input mode also lets you use the Logitech Gaming Software to customize the inputs for games that don't normally allow you to do so, or don't have gamepad support at all. You can use the Logitech Gaming Software with DirectInput mode to assign a specific key or key combination to any of the buttons or thumbsticks on the gamepad. You can also assign each thumbstick to work like a joystick or mouse. NOTE: Logitech doesn't provide configuration software for non-Windows systems, but many games allow you to configure inputs in-game. DirectInput mode lets the gamepad communicate with the drivers on many such systems. This worked for me just, Hit the mode button remap your dpad and it will work. Also if you turn off mode it will be on your left thumb stick. Took me a few tries, but got it to work with help from a few guys. Test it out. Should be ready to deke.